Film/TV lawyer Gordon Firemark and Copyright/Trademark lawyer Tamera Bennett cover a "Motley Crew" of topics this month including trademark, copyright, film and tv legal issues surrounding the "Counting Crows," "Raging Bull," "Insane Clown Posse," and "Sherlock Holmes" .... to name a few. Click here to listen. In a 10-month-long dispute between the Conan Doyle Estate and writer/editor Leslie Klinger, the trial court ruled 50 of the Sherlock Holmes stories, all published prior to 1923, are in the public domain. Ten stories published after 1923 are protected by copyright in the US. The court held elements introduced in the Sherlock Holmes stories published after 1923, such as Watson having a second wife, remain under copyright in the United States. The UK copyright for all the Sherlock Holmes stories expired in 1980. According to UK law, the term of copyright protection is the life of the author plus 50 years. Mr. Doyle died in 1930. Read more about the history of the dispute and ongoing trademark issues here. Hear film lawyer Gordon Firemark and copyright lawyer Tamera Bennett discuss the case on the Entertainment Law Update Podcast Episode 47 and Episode 43. Ray Charles planned ahead and gave each of his 12 children $500,000 in trust as their inheritance and required a release of any future claims against his estate. What he didn't plan on was his heirs (children) exercising their ability under the U.S. Copyright Act to file notice of termination of the copyright assignments for Charles' songs and reclaim those revenue streams. Charles left the bulk of his estate, including his copyright assets, to The Ray Charles Foundation for the benefit of hearing and seeing impaired persons. There are two schemes for termination of copyright grants under the U.S. Copyright law and they arise from works created and published pre or post January 1, 1978. Ray Charles' wrote songs and signed copyright assignments falling into both categories, which makes this a very rich fact pattern. The specific timing requirements for the notices are covered in detail here. In a legal opinion focused primarily on the applicability of California's Anti-Slapp statute, you'll find some great nuggets on the intersection of estate planning and copyright law. 1. A copyright grant termination notice is not "a claim against the estate" if probate on the estate has closed. Which raises the questions: what if probate is still pending? or probate never occurred and the window of time under state law probate proceedings has past? or filing a notice of termination would be timely while probate is pending? or the heirs must file the termination notices before the probate proceedings end to fall with the notice window? 2. If copyrights were created as "Works for Hire" then the copyrights were never part of the author's estate and filing the notice of termination could not be a claim against the estate. Of course, no heir wants to argue "work for hire" because anything created as a work for hire does not have a right of termination. 3. A termination right is inalienable because under the statute, "termination of the grant may be effected notwithstanding any agreement to the contrary, including an agreement to make a will or a future grant." Does this mean there is no way for an author to control post-death what happens to his/her copyrights? The opinion in this case was rendered in early 2013. While notice of an appeal was filed, there has been no additional recorded court activity. I suspect The Ray Charles Foundation and the heirs are entering into some form of negotiation. Which leads to Part 2 of this post (coming soon) which addresses why The Ray Charles Foundation needs the Charles' heirs to maximize the value of the Foundation. I've written numerous times about heirs reversing an estate plan via their statutory rights granted under the U.S. Copyright Act in relationship to Renewal of Copyright and Termination of Copyright Grants. Read more here, here, and here. Applicable code sections: 17 U.S.C. 203, 304. Case cite: The Ray Charles Foundation v. Robinson, 2:12-cv-02725-ABC-FFM, (USDC Cal. 2013). The Heirs of Malcom X sue to stop the publication of key portions of Malcom X's diaries. While the diaries were donated to the New York Public Library, the family argues no copyright transfer has occurred to allow defendant, Third World Press, to print all or any portion of the diaries. The family, via the entity X Legacy, LLC, seeks emergency injunction relief to stop the publication. To add to the confusion, one of Malcom X's daughters is an editor of the project and seems to be defending the actions of Third World Press. Donating of papers to a library or other organization is a common practice of high-profile individuals. The act of donation does not constitute a transfer of the copyright. At a minimum, in accordance with the terms of the donation or loan agreement, the donee may have the ability to display the materials for research purposes or public review. At this stage in the litigation process, it is unclear on what grounds Third World Press, LLC is claiming they have the right to reproduce and distribute the diaries. UPDATED 10/7/2013 - The USPTO is currently unable to process credit cards. If your filing deadline is today, you must use an alternative payment/filing method.ORIGINAL POST - The U.S. Copyright Office shut down at 12:01 am October 1, 2013. According to their website, new Copyright Applications may be filed via the online eCo system. We will assume that applications will not be processed until the government reopens. Registration dates should not be impacted as the effective date of registration is the date the Copyright office receives the application, filing fee and deposit material. If at all possible, use the eCo system to upload your deposit to insure the date of receipt of the deposit. 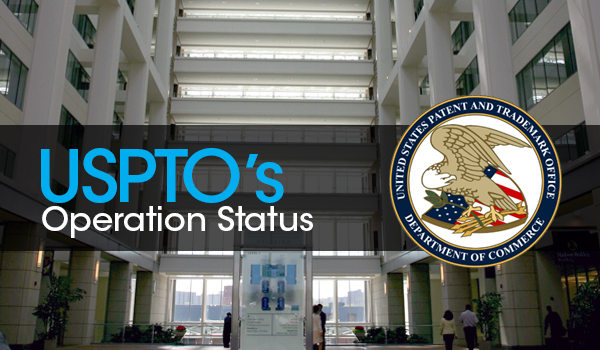 The US Patent and Trademark Office has reserve funds to operate for approximately 4 weeks. At this time processing of documents should continue uninterrupted. As always, we recommend filings be made online via the TEAS or TEAS Plus systems. Film lawyer Gordon Firemark and music lawyer Tamera Bennett bring you a mid-Summer podcast covering film, tv, trademark, copyright and employment law issues. Click here for the July 2013 Entertainment Law Update Podcast. Be sure to subscribe to the podcast in the iTunes store and share a review. EMI Entertainment World, Inc. learned the hard way that making sure you name the correct plaintiff in a lawsuit is pretty important to winning. EMI sued Karen Records, Inc., Karen Publishing, Inc. and the owners of these entities for copyright infringement and won a $100,000 verdict. Too bad EMI did not listen to Karen's attorney and verify who actually owned the copyright in the songs/sound recordings that were infringed by Karen. Because EMI refused to join in the lawsuit one or more of EMI's subsidiaries as the proper party and owner of the copyrights, the case was dismissed by the judge for lack of jurisdiction. EMI did not have standing to file the suit on behalf of the EMI subsidiaries. EMI was notified of this potential deficiency in the lawsuit and refused to fix the problem. Copyright litigation practice tip - Name the actual copyright owners as the parties to the lawsuit. EMI won, but actually lost. Here's a link to the Opinion. Under New York state law a decision issued last week holds pre-1972 sound recordings are not subject to the DMCA safe harbor provisions and Grooveshark is liable for state law copyright infringement of UMG owned pre-1972 sound recordings. UMG Recordings, Inc. v. Escape Media Group, Inc. Opinion linked here. The year the sound recording was released is key to UMG's argument. Prior to February 15, 1972 sound recordings were protected by state law copyright schemes. All sound recordings released after February 15, 1972 are protected by Federal Copyright Law. Grooveshark continues to hide under the protection of the DMCA (Digital Millennium Copyright Act) Safe Harbor provision claiming it didn't know that content uploaded by third parties was infringing and had been uploaded without permission. I believe the judges' decision was correct. If the pre-72 sound recording owners do not receive any of the protections of the Federal Copyright Act such as the ability to recover attorneys' fees or sue for statutory damages, then why should an infringer receive defensive benefits from the Copyright Act? This Court agrees with [Mp3 Tunes, LLC] the plain meaning of the statutory language makes the DMCA safe harbors applicable to both state and federal copyright claims. Thus, the DMCA applies to sound recordings fixed prior to February 15, 1972. UMG made a great tactical decision in keeping their pre- and post-72 sound recordings separated in their legal filings. A state court was the appropriate venue to decide if the DMCA applies to sound recordings that are not otherwise protected by the U.S. Copyright Act.